So, what happened to me over this 2 freaking hectic week? Fortunately, I got 4 A's including English. Phew! Such a big relieve. Relieve is not equivalent to excited, though. I was, of course, not as exhilirated as I was when I took my SPM result. The college autorities printed out the whole list of result and everyone is trying their best to squeeze through those smelly bodies in order to stick their eyes on the notice board. That, is so not good. I would be really depressed if I get a bad result and it was indirectly told to everyone. By the way, such phenomenon had happened not only in my college but also in other states such as Penang and Melacca: weird English results. People with lousy-till-drop English like me can get an A whereas those who really deserve the grade does not acquire it. I dare to say if it is not caused by the English paper, there would be near hundreds of all-A's students here. Many people got C, D, or even F! I'm really curious with the way they mark it. Gah. Organised by my club, this activity actually contribute to 30% of my co-curicular mark (for the subject, not for the score to University). I must say, I was pretty amazed with the efficiency of my classmates! It was like all of the sudden, things like banner and prizes popped up infront of me. WOW. Blow baloon blow! We actually blew the baloon one-by-one as we dont have a pump. So, to those who played with the balloons for the whole night.... wondering who's DNA which stick to your hand for that whole night???? 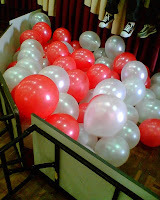 Even though it was quite tiring and rushing at that night but I enjoyed it very much. No, I didn't sang on the stage (I did hold the mic and sang a few lines when me and EJ was guarding hall but still! That doesn't count. There was zero audience at that time anyway. Yet, the feeling is so damn good. HAHA). As told by Peh Ge, the performance by the guys are drop-dead hilarious. Imagine you are on duty and suddenly this scence entered your eyes: a 18-years old guy holding a mic and leaping on the stage. OMG. It made me squatted down on the floor laughing, my stomach is aching so much I can barely stood still. MY GOSH! The girls and the Chinese guy contestants. 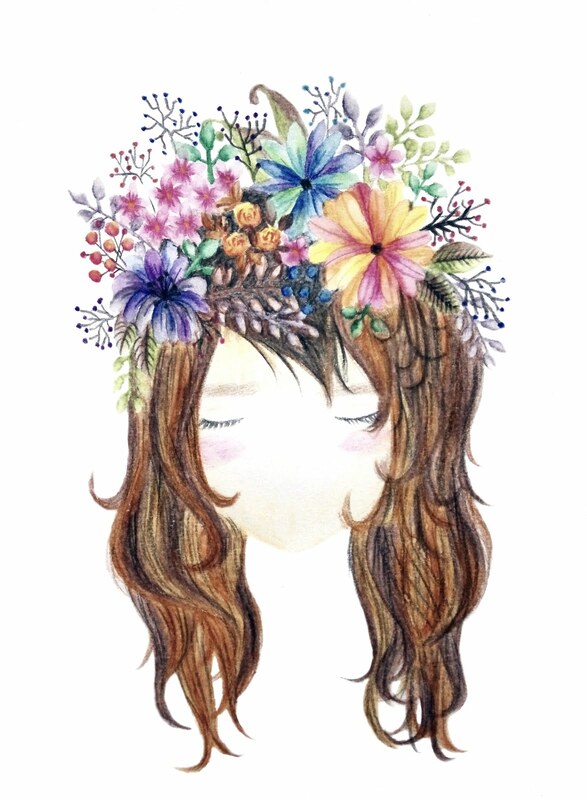 Love this photo! even though it is of kinda-low quality. Haha. To the Chinese guys (i.e. Chair, Deffery, Kent Room & Ah Wang), PREPARE TO SEE YOURSELF ON YOUTUBE. I'M NOT JOKING BECAUSE I HAD UPLOADED THEM. 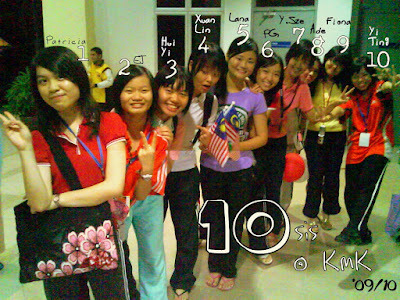 Again, as told by PehGe, there is such thing called The 10 sisters among us, thanks to Xuan Lin who generated the idea. It is weird that....i do feel warmer after this things started. Bersatu itu teguh, kononnya. Haha! So now I have to train myself to answer to the word “Xiao Mei”. Xiao Mei here Xiao Mei there. 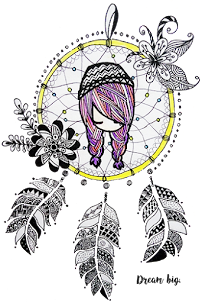 =P Love you guys! 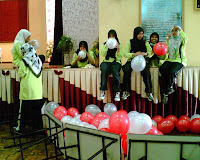 Perhaphs the most tiring explorace I ever joined. Even athlete like Wei Ling has aching legs after that event, so imagine what happened to me. Ouch! I was having pain on the muscles from abdoment to the below and it made me walked like a pregnant woman, dragging my sandals to everyone. Staircase are the killer spot. Ouch Ouch! Nevertheless, KMKrace is truly something enjoyable, ignoring the station whereby they reused the sweets that we are suppose to take using our MOUTH from the flour. Ewwwwwww!! In a way we had been...kissing so many unknown people INDIRECTLY and that was FREAAAAAAKING GROSS. Gross gross gross! By the way, got no.2 for this event! 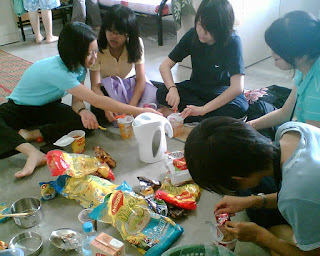 Or rather, the gossip-girls gathering. 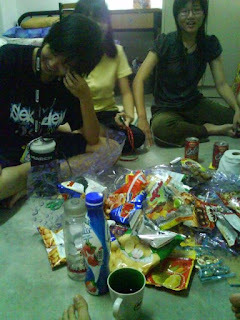 As the gang got 3 hampers at the end of the day, we decided to open it together in my room with the absent of my roommate (ahem. Must appreciate this golden oppurtunity). It ended up as we eat junk food, gossip, drink, more gossip, eat, cursing on top of our lungs, eat, laugh till the whole room can vibrate, drink, and MORE GOSSIP. Junk food!!! + Healthy yogurt drink + my Milo cup + Laughing faces. To those who had recorded the scene on that night, DONT YOU DARE TO FACEBOOK / YOUTUBE IT. Oh my! Or else.......... we can just throw the word “image of a girl” from our dictionary. It cleary proves that when 12 women-to-be are in one room, DONT you expect a moment of silence. Gah!!! My fave kuih of all! 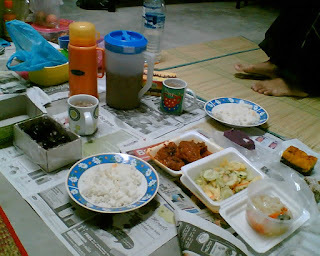 For your information, my room is so strategic (like Melacca, quote Allana) as it was one of the nearest room from cafe. At times like such, it is even irresistable to go for window shopping in the cafe and CRAP, it is NOT window shopping anymore. DAMN THERE ARE SO MANY KUIH-KUIH-KUIH-KUIH-KUIH it made my mouth watery. Ahhhhh!!! 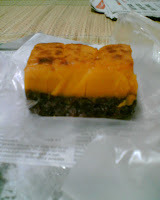 So being a person with very bad self-control, I bought the kuih, and indulge in it, and wanted more....!!!! SOMEONE SAVE ME FROM GAINING ANY EXTRA INCH OF FAT! So-so-so-so-so...tempting. So, prepare to see the growing-sideways-YiTing during Raya hol. Gah!! More competition and inspiration-needed task coming soon. Party tomorrow! P/s: Chemistry lecture is officially The Doodling Period a.k.a Idea-Generating Momment!! !